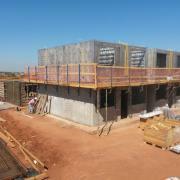 500 m² of the new monolithic formwork Doka OneGo are in use for the construction of 264 twin-houses in Jaboticabal (Brazil). Every day a new twin-house is built. The one day-cycle comprises the stripping of the previous casting step, the set up of the formwork and the pouring. 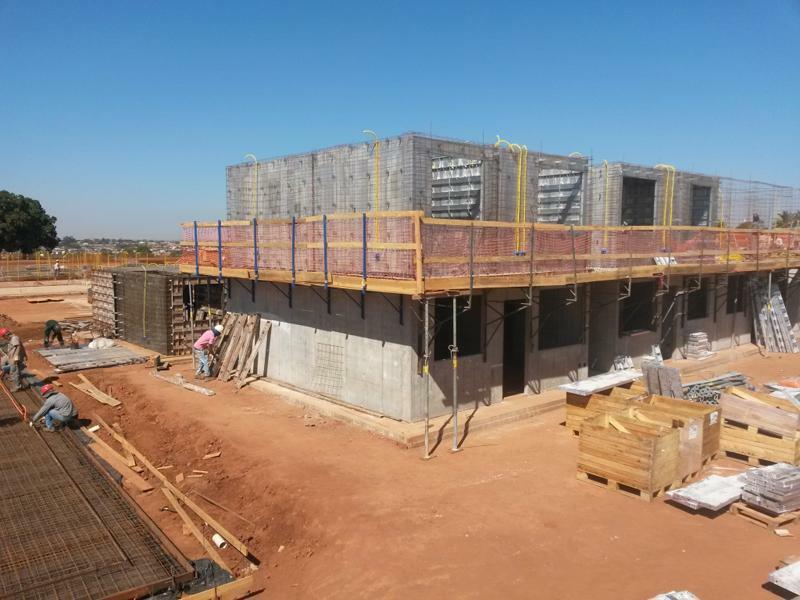 The construction company uses self-compacting concrete (SCC) to further speed up the construction progress. The easy and smooth forming and stripping processes as well as the light weight of the elements compared to competitors have been highly commended by the construction team. 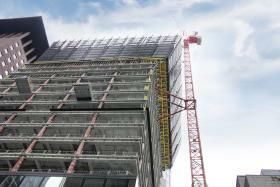 That’s a proof that Doka OneGo lives up its slogan “Go fast, build smart!”. 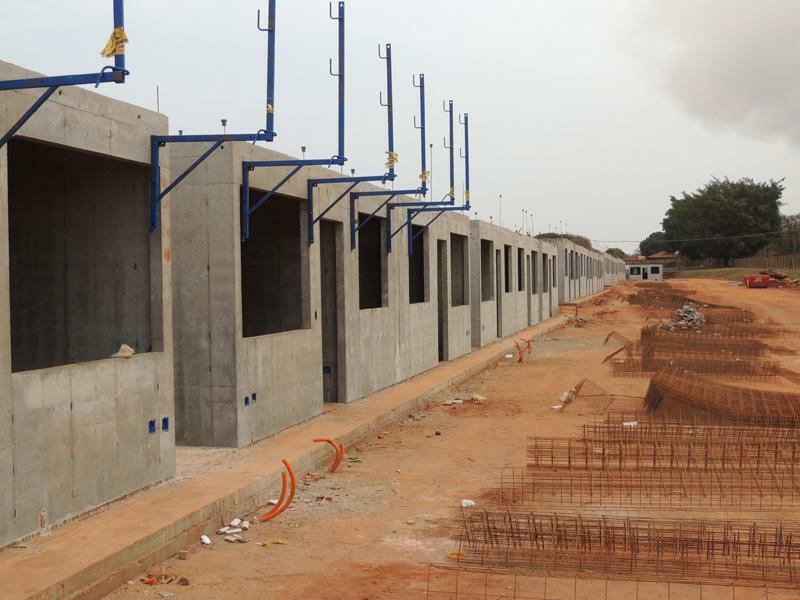 Thank you for your interest - ​First Doka OneGo project successfully ongoing in Brazil. 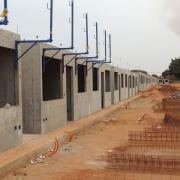 Thank you very much for your interest - ​First Doka OneGo project successfully ongoing in Brazil.